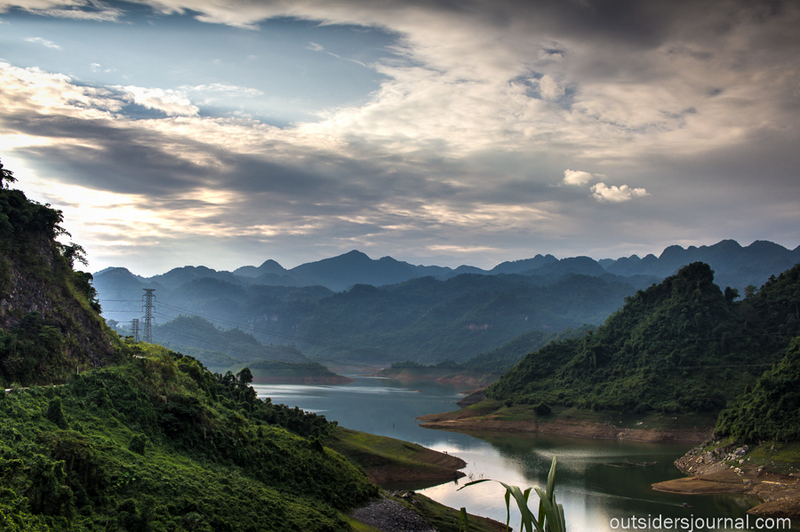 Ba Be is Vietnam’s largest natural lake and the heart of Ba Be National Park. 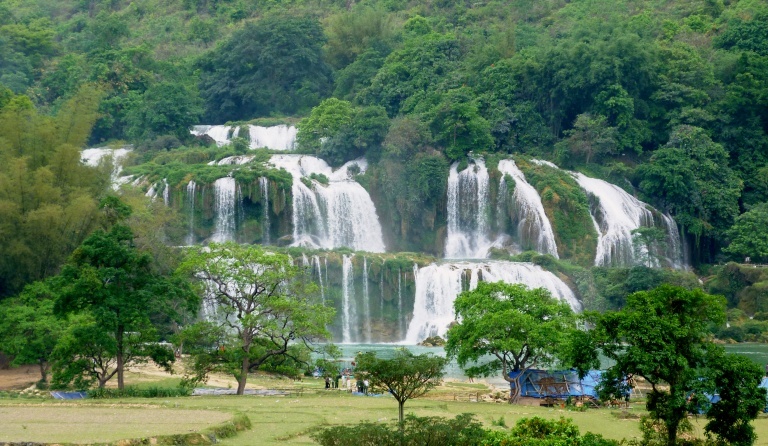 The park and the surrounding area is limestone country, so lakes, waterfalls, caves and unusual rock formations abound. The whole area is richly forested and is home to many ethnic minority communities. Ba Be National Park has been recognized as a Natural World Heritage Site by UNESCO. This tour offers you a fun adventure at a comfortable pace with plenty of time to enjoy the magnificent surroundings. You will be collected from your hotel at 07:30 to begin your journey to Ba Be, stopping for lunch on the in a local restaurant. After lunch, your route will take you through the winding mountains and tea plantations to Hua Ma cave. You will have time to look around the cave, take some great photos, and if you wish you can have a swim at Silk waterfall. After that, you will visit the Tay village of Coc Toc, where the Tay people make their living fishing and from rice and corn cultivation. They live in wonderful pretty stilt houses that you will be able to see as you explore the area. In Coc Toc you will join the amazing family of Mr Linh and enjoy their food and hospitality in their beautiful traditional house. In the area, there are many spectacular rivers, caves, and mountains to discover. The later part of the day can be spent on Ba Be Lake, before returning to the homestay for a beautiful dinner of local specialities cooked by your host. In this time, you will also have the option of walking or cycling around Coc Toc Village, kayaking on the lake, or simply relaxing and enjoying the views. You will have the chance to explore the diverse and beautiful landscapes of Ba Be as you trek through the national park. To begin with, your local guide will take you to visit Coc Toc Village where the Tay people make a living through fishing in the lake. You will cross Pelu Stream and navigate some steep terrain, but as you gain height you will begin to see the beautiful views of the mountains. As you journey further towards the uplands, you will stop in a H'mong ethnic village where you will have a picnic lunch. Your guide will then take you through the vast mountain ranges and valleys to see the stilt houses and school of the Dzao people and along the trail to visit another H'mong ethnic village. You will then return to your homestay where you can enjoy a dinner of local home cooked food. After breakfast at the homestay, you will set out on foot to Bo Lu Harbour. From here you will take a three-hour boat trip, touring peacefully around the lake. This is a great time to jump into the water for a swim to cool off or just relax on the boat. The trip will take you along the slow flowing river, giving you gorgeous views of the dramatic mountains, valleys, and natural caves. There is also a good opportunity here for some bird and butterfly spotting - the national park is home to a wonderful diversity of flora and fauna. The boat will then take you through the tunnel of Puong Cave, with its spectacular array of stalactites and stalagmites. You may also get the chance to see some bats here, as the cave is home to a colony of thousands. You will then get the chance to rest on the trip back to Hanoi, stopping for lunch at a local restaurant on the way, arriving in Hanoi at about 17.30 where you will be let off at your hotel.